The evening had 14 players taking part. The darts draw was a little lopsided, with one strong group of five. 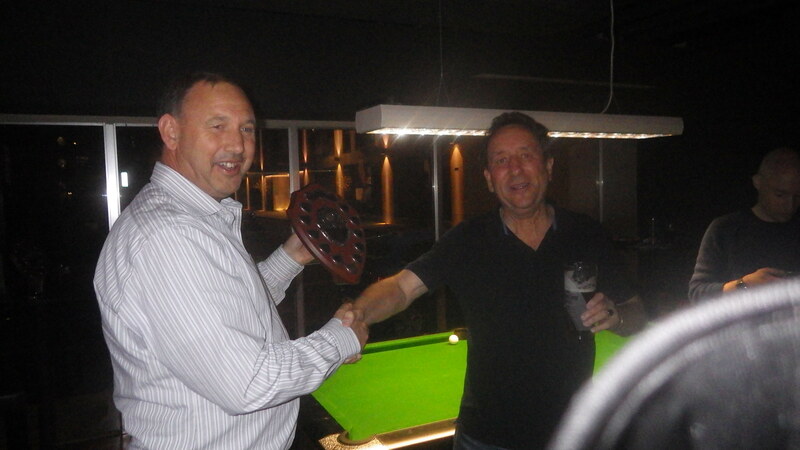 Reg (Ray) Betts wins another trophy, the Pool. 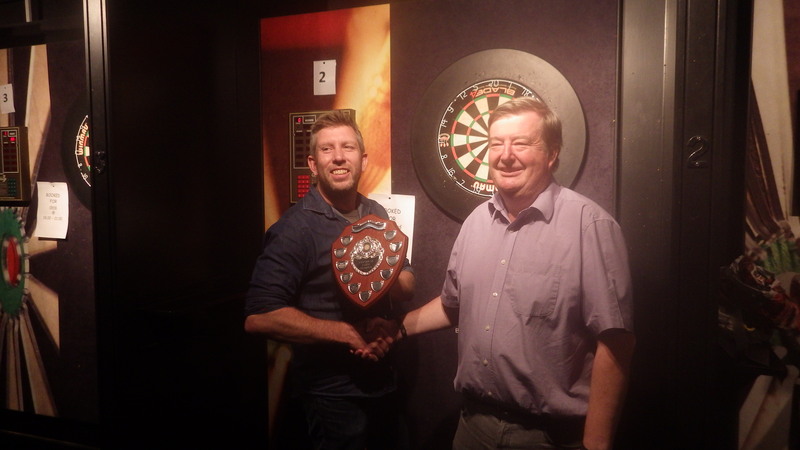 Reg beat Mike McIntyre 2-0 in the final after coming through the Preliminary round. He beat Terry Collis, Matt Herridge, John Watkins and Mike McIntyre. It was the easy half of the draw, Reg not having to meet a regular pool team player until the final. 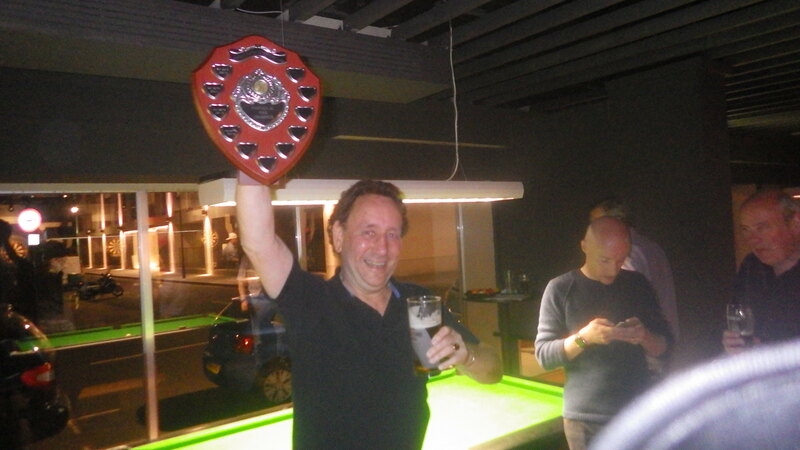 It was Reg’s ninth win in our pool tournament since 1981. Paul Calais wins the Darts. 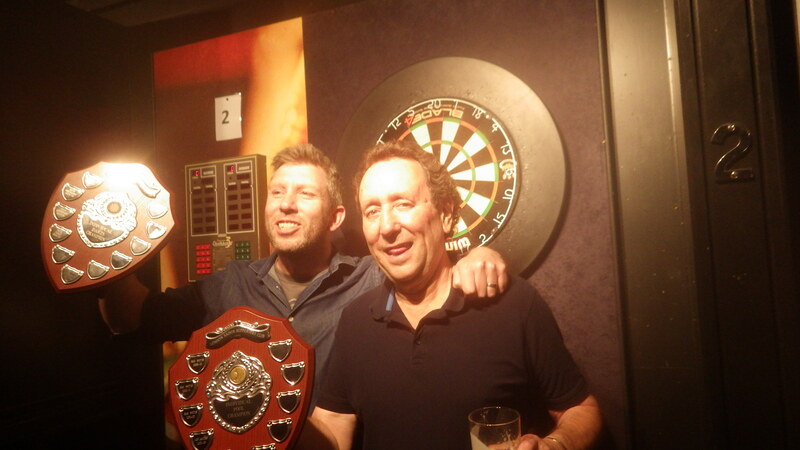 Paul Calais beat Peter Eales 2-0 in the final. He came top of a strong group to qualify for the semi-final against John Watkins. Paul only lost one match all evening playing six matches. It was Paul’s third consecutive win in our tournament and he has not dropped any games in those three finals.